close Do I qualify for FREE STANDARD SHIPPING? 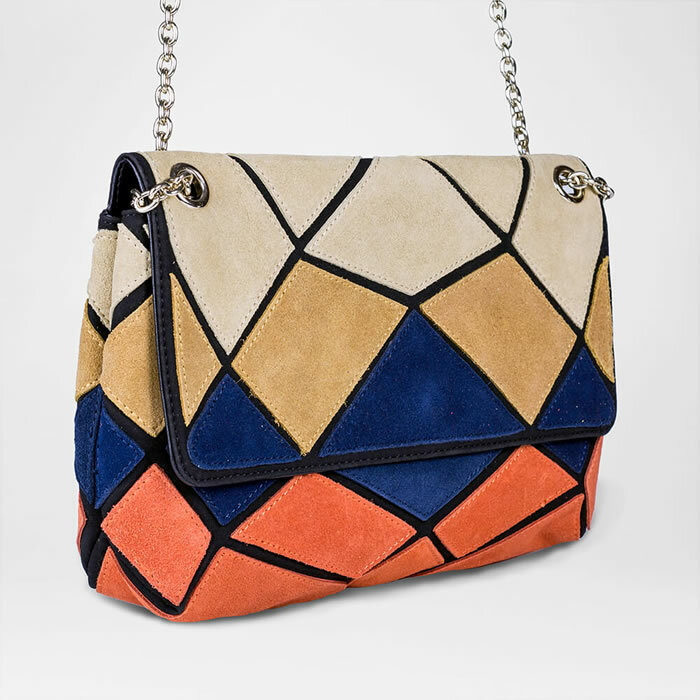 Bold geometric colour blocking and mixed textures lend a chic urban edge to this flap sling bag (larger than the Sophie Lee). 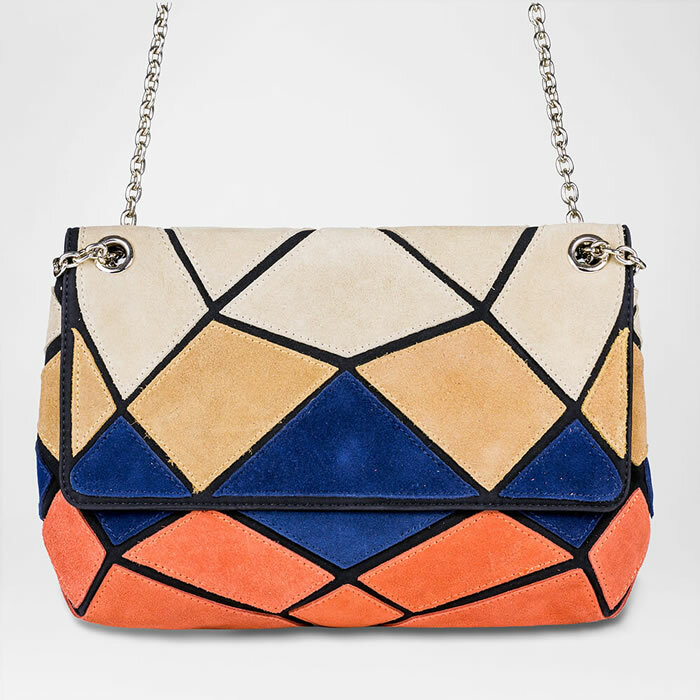 Big enough to carry your everyday essentials and small enough to match your evening ensemble. Features a magnetic press stud fastening and gold chain strap. 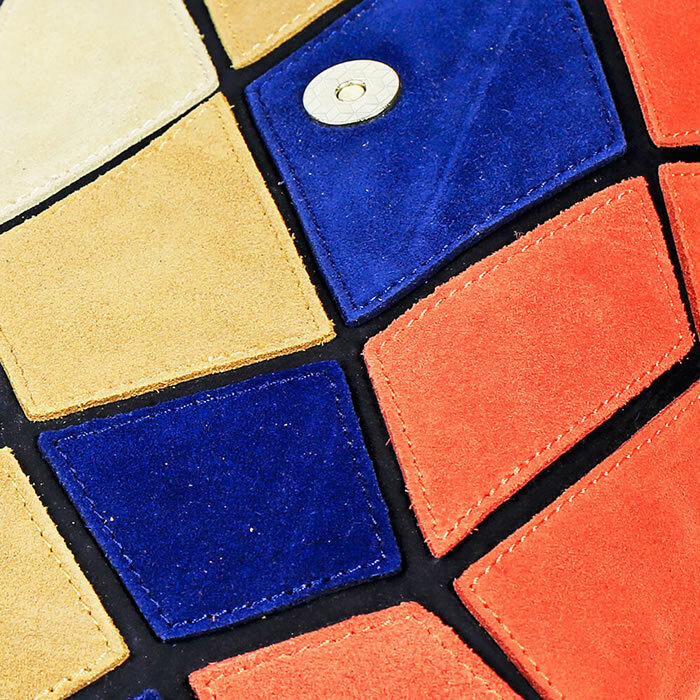 Suede on the outside and PU Leather on the inside. We guarantee that Bagmee is authorised to sell this product and that every brand we sell is authentic.